Julie Campbell has a love of history, journeys and memories. They are the inspiration for her artwork. Her work is concerned with the viewpoint expressed by indefinite progress of time. Having used her creative skills within the bakery and confectionery industry she changed direction and undertook a different way to be artistic. 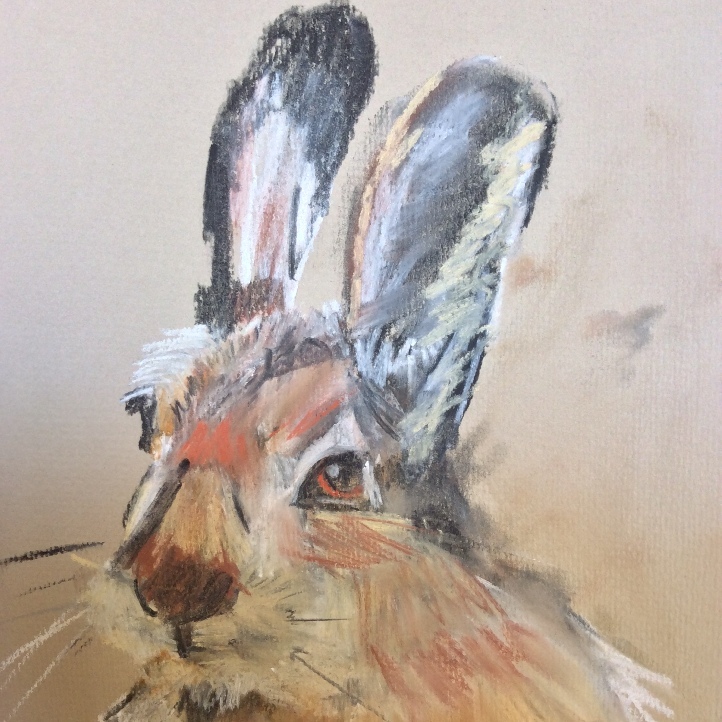 After completing a year-long access course in Art and Design she went on to complete a BA(Hons) Fine Art degree in 2015 at Wirral Metropolitan College. Her paintings from the Degree Show were purchased by the principal and now reside in the college collection. During her studies, she spent three years exploring man’s journeying and the effect upon the land. The essence of a place and life within it allow for the artist to create pieces using several layers. Some areas become obscured whilst other parts are revealed afresh. Her use of quick, gestural mark making convey a sense of energy that explore the construction process. Within portraiture, the aim is to find and explore facial features that are forever changing. Her belief that nothing stands still and history is part of the present is related through drawing, painting and collagraph printing. The use of materials chosen are characteristic to the technique and the subject matter. Research is thorough, with use of sketches and prose for the implementation of the images created. Paintings and collagraphs have been in several local exhibitions including a joint exhibition with fellow printmakers at the Editions Gallery, Liverpool. Her work has also been exhibited in The Williamson Art Gallery and Museum.